Jon is the one who cooks fish in our house. He usually starts it in a pan and then finishes it off it in oven, but today he decided to throw this beautiful mahi mahi filet on the grill. Season the flesh side with the spices - the amount is up to you. He did a light sprinkling of each spice/herb. Squeeze a bit of lemon over the fish. 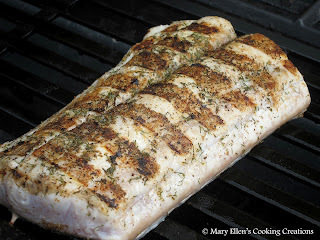 Place the fish on a hot grill, skin side up. Flip after 4 minutes. Grill another 4 minutes with skin side down. 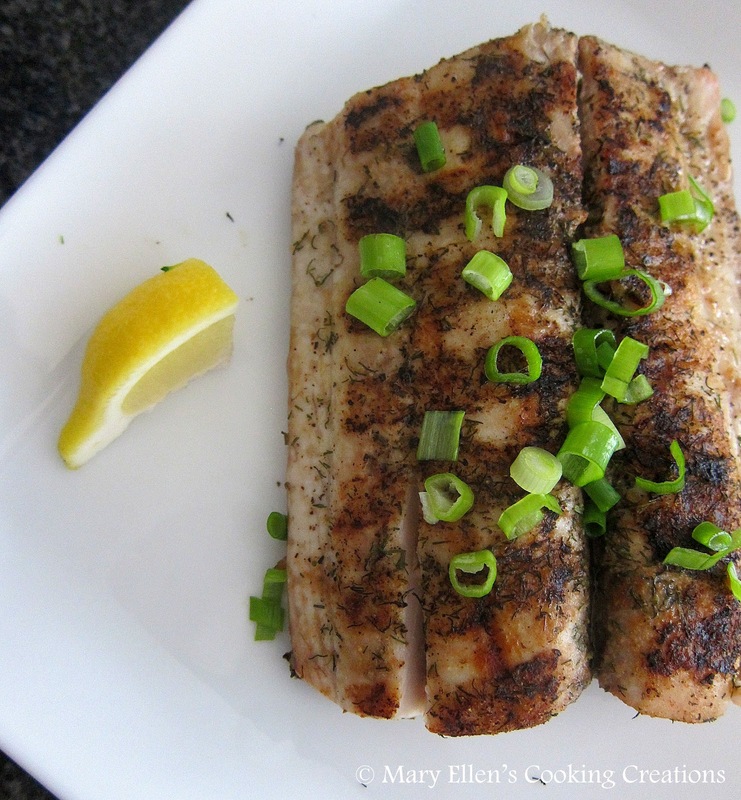 Place a piece of foil on the grill and transfer the fish to the foil. Wrap it up and let it finish cooking, about another 3 minutes. NOTE: cooking times will vary based on the size of the filet. To serve, squeeze a bit more lemon over the fish and garnish with green onions. I have to say, this is the most beautiful piece of fish he has ever made. The flavors were light and subtle, and the crust on the flesh side was just perfect.